Outside fat activist circles themselves, the phrase Fat Activism can sometimes get a lukewarm reception. 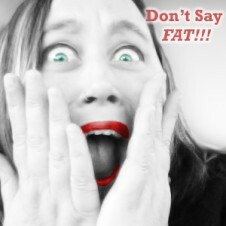 Fat is a complex word–both intellectually and emotionally–for fat and thin folks alike. Fat Activism is an umbrella term for a movement that contains a multitude of voices and myriad, sometimes even conflicting goals. There is no single spokesperson, voice or goal of fat activism because fat is an intersectional issue. This means that fatness intersects all other forms of oppression – racism, ableism, classism, sexism, homophobia just to name a few. So why do Fat Activists use the word Fat? Mainly – Fat is truly the only objective descriptor out there. Fat is exactly that: Fat. It’s something one has, a cell type. Everyone has fat cells. Some have more. Some have less. Any word other than Fat that’s used to describe fatness usually only succeeds in giving the existing socially constructed meaning more power. For example: Overweight: This statement infers that there is a ‘normal’ weight, and that any weight above that is too much. Another example: Plus Size. This infers that there, again, is a standard size and that any size above it is excessive. Posted May 6th, 2013 & filed under Activism.